The first movie I ever saw in the theater was E.T. the Extra-Terrestrial when I was five years old. In the 30 years that followed, I honestly don't think I ever watched the movie again until a few weeks ago, when I received the 30th Anniversary Blu-ray. I suppose it's just one of those movies I never revisited, but I'm glad I waited until this anniversary edition, because Steven Spielberg's classic looks simply stunning in the high definition format. 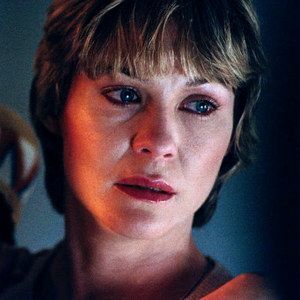 I was recently invited to sit down with Dee Wallace, who played Mary, the mother of Elliot (Henry Thomas) and Gertie (Drew Barrymore) in this beloved family adventure, making its Blu-ray debut October 9. Take a look at my exclusive video interview with the actress, along with a little bonus treat.